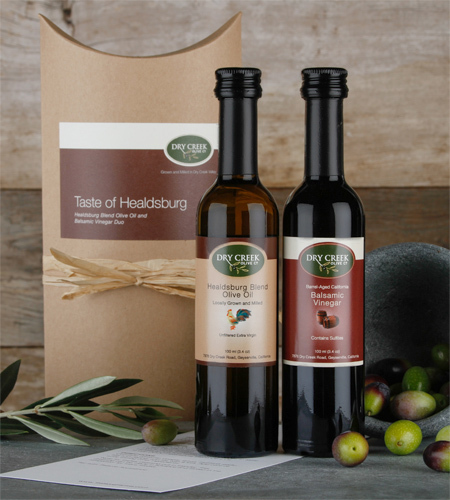 Enjoy our locals' favorite Healdsburg Blend olive oil which is a perfect blend of the peppery Italian Frantoio, Leccino, and Pendolino olives tempered slightly by our smooth and grassy Spanish Arbequina. 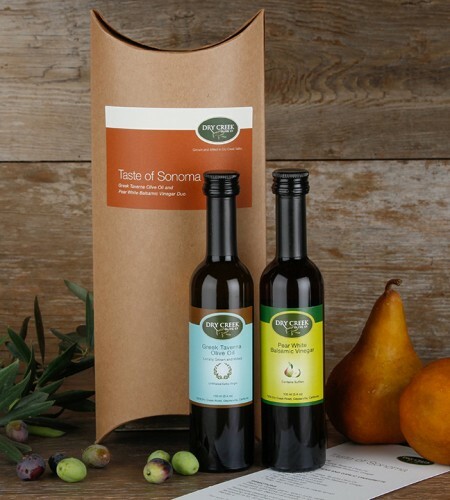 We paired this olive oil with our most versatile vinegar, our California red-wine, 18 month aged Balsamic. 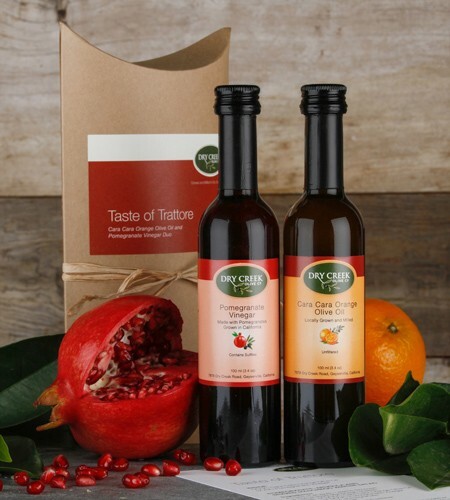 Use these together as a salad dressing or separately with many of your favorite foods. 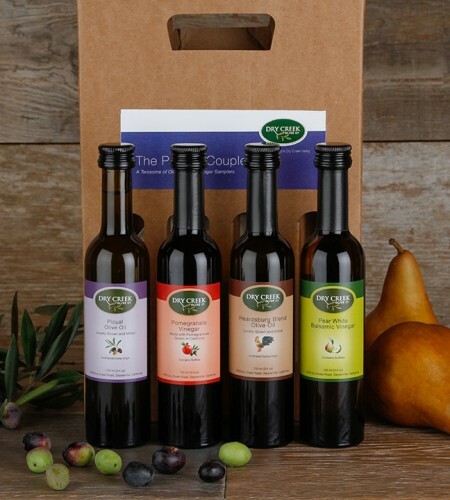 The Healdsburg Blend alone is a wonderful dip for crusty bread, and the Balsamic a staple for any Caprese salad. 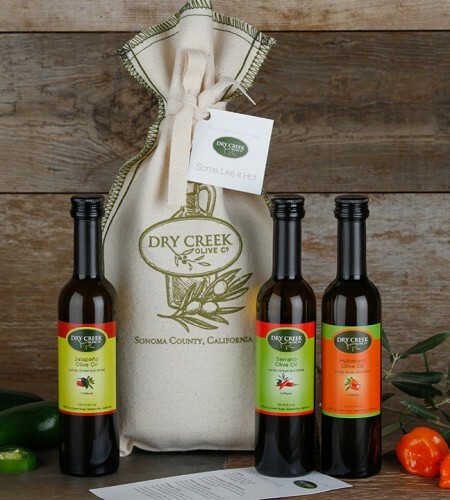 No matter what, this gift sampler is sure to be a locals' favorite! 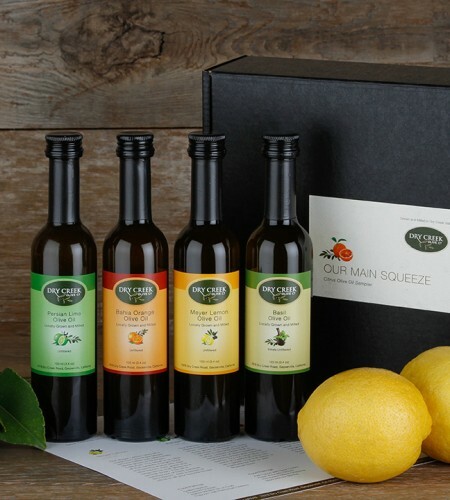 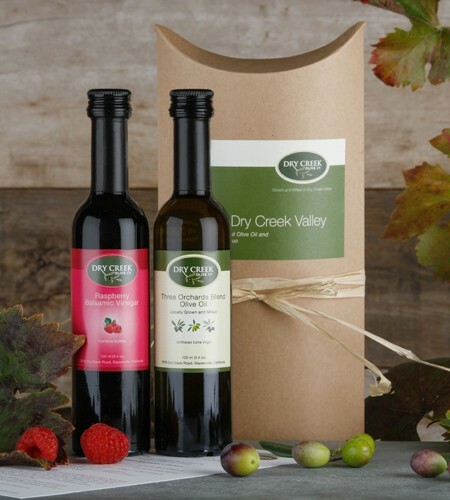 Includes two 100ml bottles - Healdsburg Blend Extra Virgin Oil Olive Oil and Balsamic Vinegar with recipe card in a pillow pouch gift box.